Since we have had several requests for kitchen cabinets, I figured I would focus on such a topic: Kitchens!! Although it's easy to drool over the pictures that we see in magazines and on the internet, good looking kitchens are costly. Or are they? Well, let's take a look at some of the facts. The average cost of a kitchen remodel stands somewhere between $18,500 and $54,000 depending on the extent of the remodel. Essentially, cabinetry is about one third to one half of the budget. 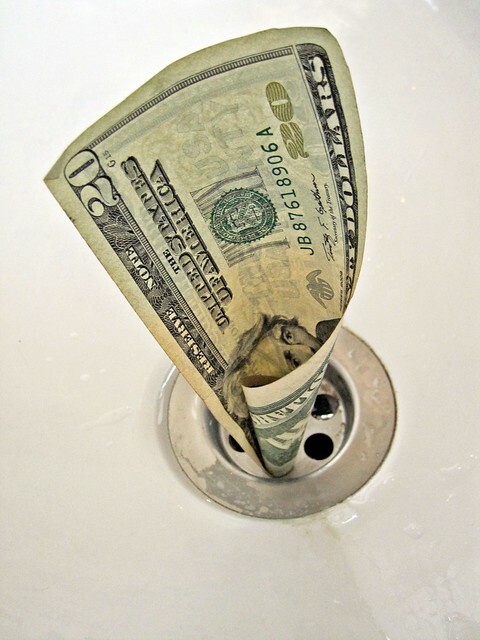 Additionally, forgotten costs such as labor and unexpected expenses (for that leak lurking behind the sink) can take a toll on the budget if you're not prepared. Not to mention, any added costs of new hardware, flooring, or counter tops that you didn't (or did) originally want but now desire (so that everything looks shiny and new) can add even more expenses. With all this in mind, a kitchen can be pretty expensive. However, here are a few tips for keeping costs down. 1) Make a budget...and stick to it. Make sure that you remember to budget for labor costs as well as the unexpected. Be sure that you don't leave out the details. Hardware and those little extras can add up. 2) Be sure to invest your money into the things that truly matter. Evaluate the function and value of what you are adding. Consider, is there a more cost effective option? Could I do without the added detail? Is that really necessary? 3) Watch out for trends. Although certain trends can make a kitchen unique, these trends can also date a kitchen over time. Consider colors, materials, and accessories that will stand the test of time. 4) Consider different options for kitchens. Custom kitchens provide you with the opportunity to select any materials, styles, colors, etc. On the opposing side, these types of kitchens don't fit into every budget. Another option is prefabricated cabinetry. This type of kitchen cabinetry allows you to choose from a variety of select styles, materials, and colors. Although your options may be a bit more limited, prefabricated cabinetry can offer a more affordable solution for a stricter budget. The last option is combination cabinetry. This solution offers you the ability to customize and use prefabricated cabinetry as needed.